Jammin’ Out 6th Place Overall at the Plant City Pig Jam! You are here: Home / Competitions / Jammin’ Out 6th Place Overall at the Plant City Pig Jam! Team Unknown BBQ came in sixth place overall at the Plant City Pig Jam held this past weekend out of 53 teams across the nation. Not only were our fellow Imperial Polk County teams fighting it out but some other big name teams like Pellet Envy, winner of 2013 BBQ Pitmasters, and Smokin’ Triggers (Johnny Trigg) were vying for walks this weekend. 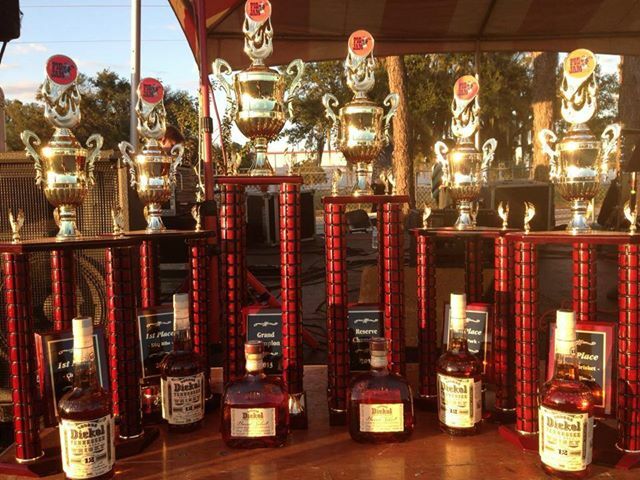 We are proud how well we placed in the competition even while vending our famous ribs and BBQ Nachos. The ribs were so popular that we sold out pretty quickly. Jason brought the team a second place in ribs and 26th place in pork. Papa Clark brought us 25th in chicken. And Dorsey brought a seventh place in brisket. Give us a RAISE HELL!